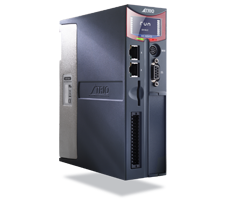 Trio Motion Technology is a specialized source of high performance motion control technology. 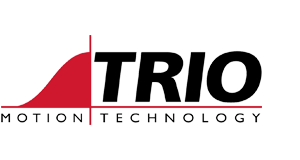 Trio has been manufacturing high-quality motion controllers since 1987. It offers a comprehensive range that allows economical, flexible, and seamless control of one to 128 axes of servo motors, stepper motors, piezo motors or hydraulic systems. Flexible motion coordinator based on the Quad Core Cortex A9 1GHz ARM processor featuring a total of 128 axes. 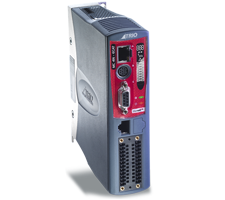 Motion coordinator based on a 532MHz ARM 11 processor designed to run remote servo and stepper drives via EtherCat. 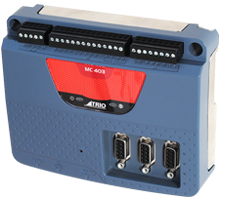 Motion Coordinator based on an ARM 11 processor, with three flexible axis ports and two Voltage outputs.